Ideas for a unique and beautiful ceramic tile pattern in a kitchen, bathroom or for a living room floor can inspire you to create a masterpiece. With so many ceramic tile choices available, you can personalize your home with a special pattern choice. 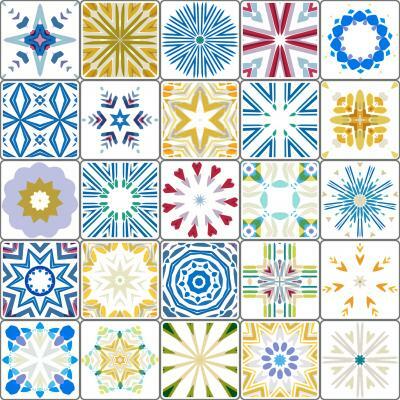 Some pattern ideas for ceramic tiles include hand-painted designs. If you want a truly unique look, you can commission or create special designs just for your room. Create the motifs or symbols you want on each tile design that signifies something you like or cherish. 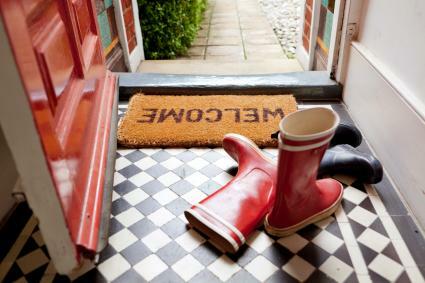 A tiled front or back entrance offers residents a quick and easy cleanup and upkeep unlike carpeting. You can create all kinds of patterns when you select a square tile flooring. You can turn squares on the diagonal in a 45-degree angle to create a diamond pattern. This is a popular choice for any tile size. You can use large square tiles bordered by smaller square tiles. 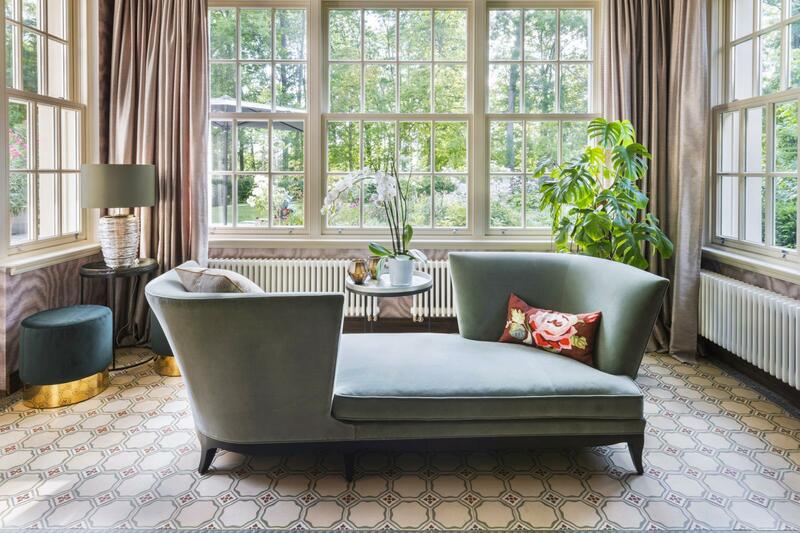 A mix of patterns with rectangular-shaped tiles will create a linear effect within the border. You can also change the colors to create a more interesting contrast in the floor pattern design. Ceramic tile patterns can be used for more than a backsplash. 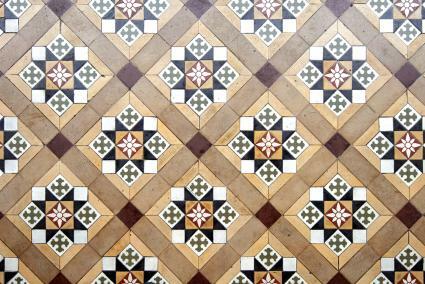 A ceramic pattern also makes an attractive kitchen floor. A checkerboard pattern is a popular choice. 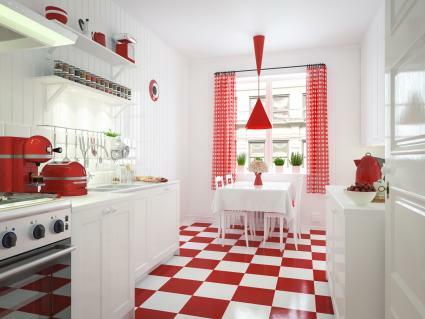 You can go completely retro with a classic red and white square tile floor and high-gloss white subway tiles for a backsplash. Other colored tile combinations can also be used to create a checkerboard effect, such as black and white, yellow and green, dark blue and light blue, and any other type of color combinations you prefer. You can choose a texture and color that matches your flooring to create a striking tile backsplash. You may decide to repeat the floor pattern on a much smaller scale for a unique look. Combine square tiles with smaller square tiles turned to create a diamond accent pattern. You don't want the tile backsplash design to compete with the floor design or vice versa. 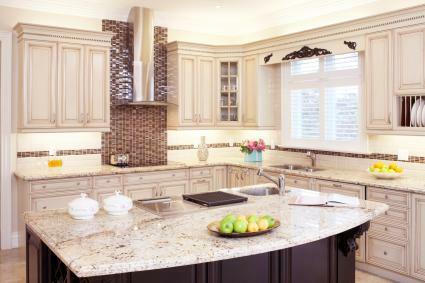 There are many options available for different styles and patterns for a truly unique backsplash. 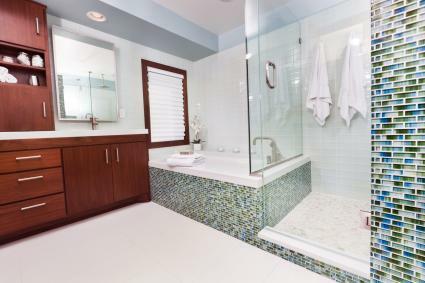 There are many opportunities to get creative with ceramic tile in various areas of the bathroom. Decide on your color scheme first and then set out to find the perfect tile designs. You can use multiple patterns that are within the same color families to add depth to your tile design. You can break out of the typical bathroom décor mold and select an unexpected design for your bathroom tile floor. 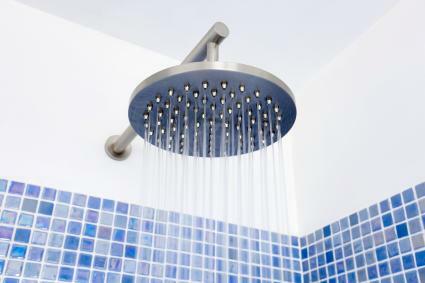 Another option is to use a solid color that repeats a prominent color from the wall or shower stall tile choice. Select ceramic wall tiles with a high gloss finish in different color hues or range of hues for stunning bathroom walls. You can then create a colorful pattern to show off the tile shapes by using small square tiles with rectangle shapes. Create a mosaic pattern out of small square tiles in a range of values from light to dark of the same color. You can use this miniature tile effect for an accent wall with the other shower walls finished in a contrasting tile or stone. You don't need a big budget to add a little style and color to a bathtub area. A small backsplash where you're likely to have water splashing on the wall can be created with several tile colors. You can install the tile in a specific shape that you repeat at the sink area. This technique is very effective when you have a free-standing pedestal sink and soaking tub. You can take advantage of decorative and hand-painted tiles for this vignette effect. 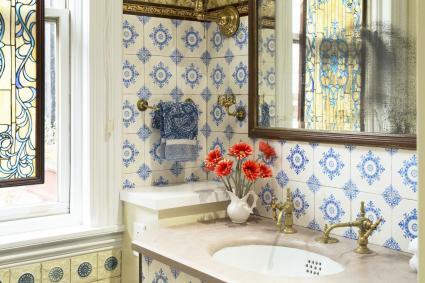 One way to make the sink area stand out is to use a different decorative tile on the wall of the sink area. This pattern can range from retro to ultra-modern depending on your décor style. 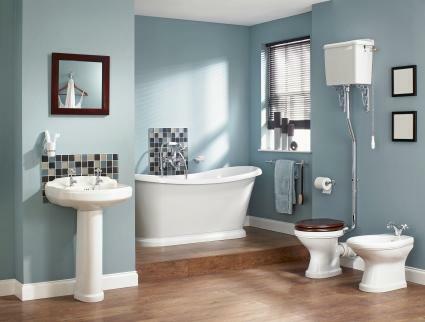 Match the tile colors to the rest of the bathroom color scheme for a truly cohesive blending of tile patterns. The expanse of a living room floor lends itself to a patterned tile. The key to selecting the right tile pattern is to choose a larger pattern instead of a smaller one. Another thing to consider is contrast. 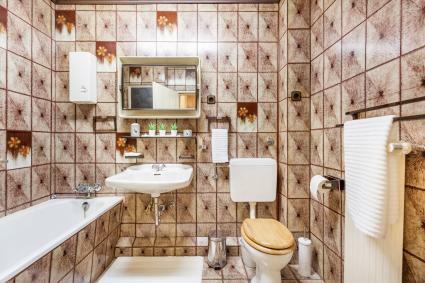 You don't necessarily want the tiles to be a one-color pattern. You can select a tile pattern that when laid out creates light and dark shapes with the adjoining tiles. You can use tiles to design a floor pattern that resembles a rug. This will require a little planning using graph paper to designate each tile placement. Remember, this will be permanent so make sure you want to live with this pattern forever. You'll need to measure the floor space and decide on the size of your tile rug. Select a pattern you like. 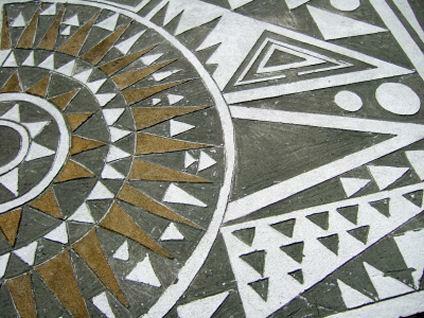 You'll want a border design to define your tile rug. Choose the colors and designs you want for your tile rug. Draw your design on the graph paper. Calculate the number of tiles needed for each color and design. 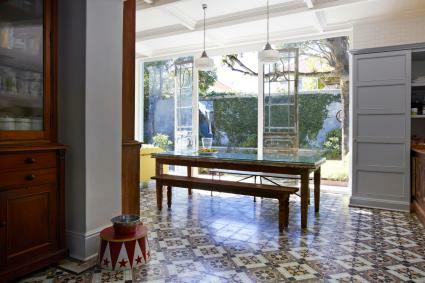 The fireplace is an ideal feature to highlight with ceramic tile to add a pop of color and pattern to your room décor. 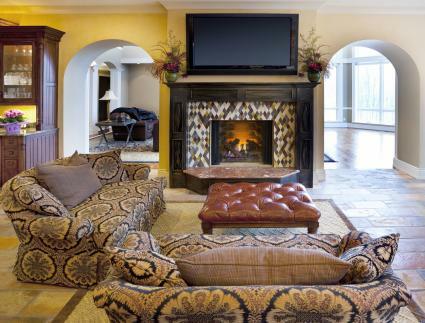 The surround area of the fireplace can showcase a ceramic design that repeats an upholstered sofa or patterned draperies. 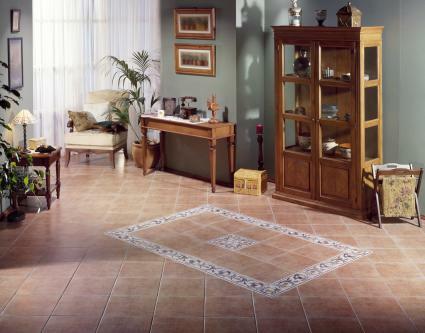 Adding a ceramic tile pattern to any room requires careful considering of the other design elements in the room. 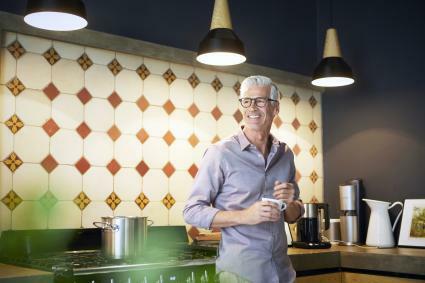 Once you've found the pattern you like, you'll need to match it to the room décor so it will look as though it has always been part of your room design.